There are two trouty things locally that are worth mentioning...you know...if you're local...and you're into trouty things. With Pennsylvania approved trout water closed for the month of March to allow for pre-season stockings, this is one of the few opportunties to get out this month and chase some fish. Plus, stockies are stupid and to be blunt, this is easy pickin's. 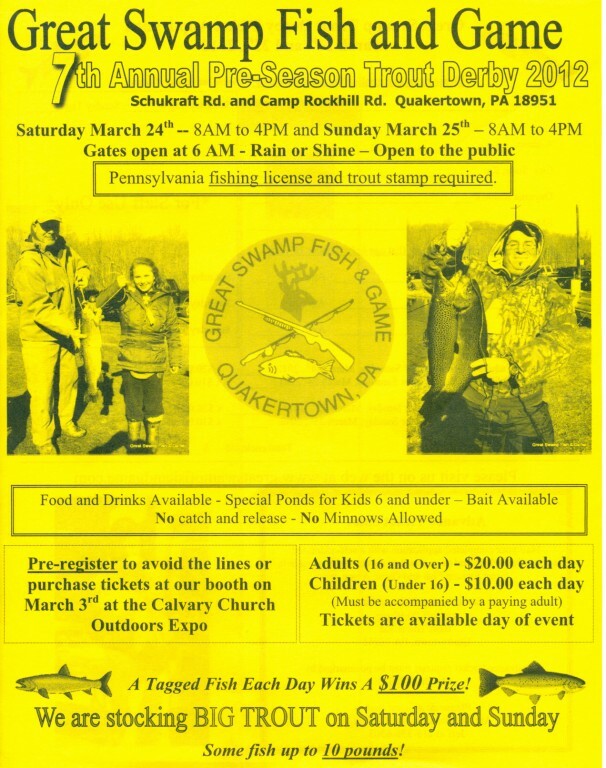 I'm not one for derbies, but Great Swamp is a friend of my trout club, and they run a top notch event. Even if you're not fishing, it's a great excuse to get the kids outdoors! Yeah, we pick up a ton of trash from Stony & Kepner Creeks, and to be honest, it's just a really fun time. It's amazing the stuff you can pull out of an urban watershed...one of the big ticket items from last year being a hot water heater... The 2011 event was covered locally by several news outlets and our club also does a pre-season stocking immediately following at noon for anyone that wants to swing by the nursery and help out. 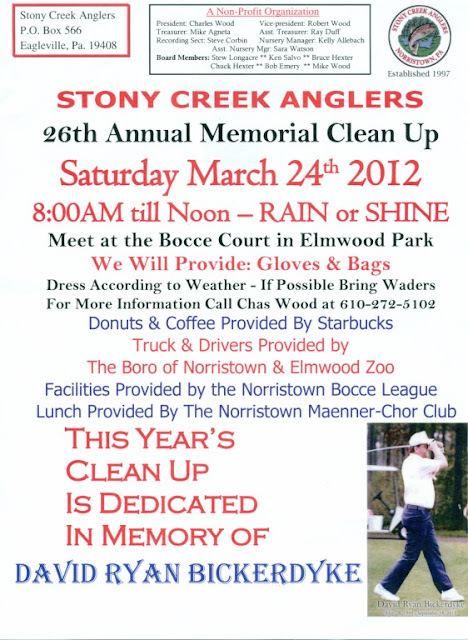 So...Stony Creek Clean Up on Saturday, Great Swamp Pre-Season Derby on Sunday...sounds pretty trouty to me. Do many fly anglers hit the trout derby? Thinking to give it a go if i'll be able to swing my stick.